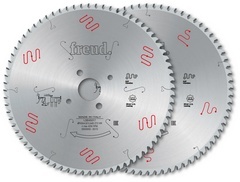 Panel sizing saw blades. To size single or multiple panels. Machines: Horizontal sizing machines with scorer. 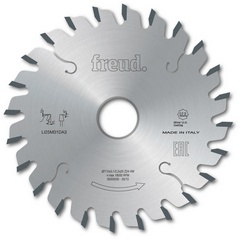 Features: Tripple chip tooth with positive cutting angle. Material: chipboard or MDF laminated with melamine or plastic materials.